A recent study by Zynstra has revealed that retailers are responding to cyber attacks on average twice a week. 16% of retailers said they experienced an attack or attempted attack every day, 11% said they responded 2-3 times per week, and 64% said once a month. It’s obvious to all that the face of retail is changing rapidly, with customers having more and more options of where and how to purchase goods and services. In response retailers are looking to increase levels of customer service and offer a differentiated buying experience. 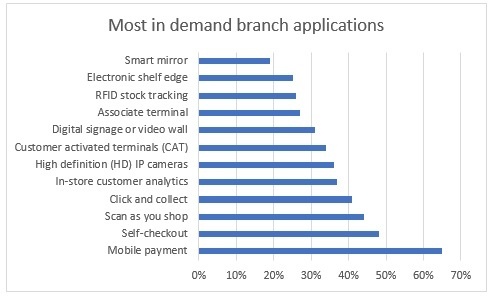 Branch retailers in particular recognize that their key competitive asset is the branch network itself, offering as it does the ideal environment for compelling customer interaction. However, customer interaction today requires an IT infrastructure that can support compelling applications that enhance the shopping experience and integrate the branch and on-line customer journeys. As technology improves, it has an effect on the expectations of the average consumer. People see the latest technological marvels applied in other industries, and they expect retail to make the same innovations. The modern consumer requires a system that provides an experience unique to his or her habits and lifestyle. This requires an IT infrastructure that caters for the latest applications while delivering a consistent experience across all devices. Data analytics and personalization are key to this - both in store and out of store – keeping track of one’s buying habits, and the learning from it. Having a system which automates the process directly into the support workflow in real time is the preferred option as it enhances the customer experience and drives operational efficiencies across the business. Cyber security has been the hot topic for retailers these last few months. Between WannaCry and Petya, we’ve seen disruption to hundreds of businesses. 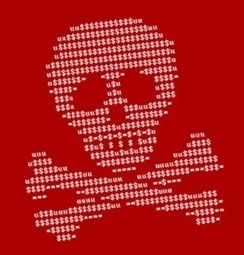 Last month, a South Korean company agreed to pay the largest ransomware settlement in history. In addition, many businesses are reported to still be recovering from the Petya attack, a full month after it initially occurred. In this blog, we outline 4 factors which IT professionals should consider whilst formulating their cyber security strategy. The on-going threat from ransomware and the recent high-profile outbreaks of WannaCry and Petyawrap viruses have focused attention on IT security. During the latest wave of ransomware attacks, one firm in South Korea ended up paying the largest ransomware demand in history – this has made the necessity of IT security all the more apparent to IT support, administrators and board-members alike. In this article, we outline how Zynstra keeps our client’s IT infrastructure secure against ransomware attacks. We wanted to better understand the pressures facing retail branch IT specialist, so the team at Zynstra recently commissioned Censuswide to conduct a survey of retail IT leaders in the USA and UK to determine their attitudes, opinions and state of their IT infrastructure. 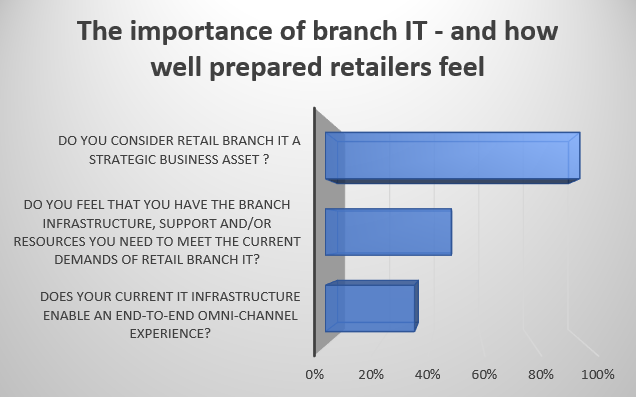 Our research showed that while 97% of respondents see IT as a strategic asset in retail branch IT, only 48% said they had the proper resources, support and branch infrastructure to meet their current demands. And when it came to the IT to support an omni-channel customer experience, only 34% thought they had the infrastructure to enable an end-to-end multi-channel experience. 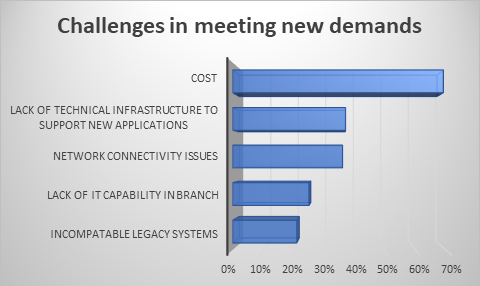 So we wanted to dig a little deeper and find out what were the major challenges IT pro’s face in making these changes. We wanted to better understand the pressures facing retail branch IT specialists, so the team at Zynstra recently commissioned Censuswide to conduct a survey of retail IT leaders in the USA and UK to determine their attitudes, opinions and state of their IT infrastructure. 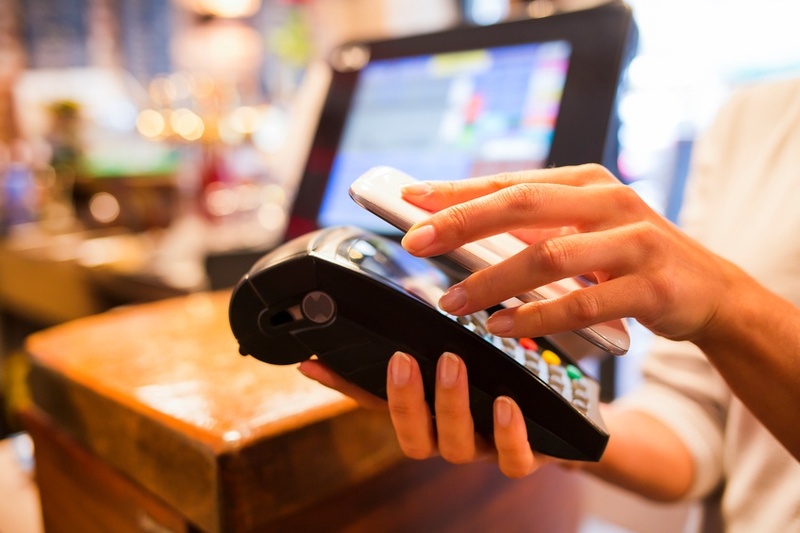 The research showed that a wide range of applications are being demanded by retail businesses, with mobile payment capabilities leading the way in both the UK and US (65%), followed by self-checkout (49%), scan as you shop (44%), click and collect (41%) and in-store customer analytics (37%). Early last week we showcased our HPE ProLiant Easy Connect solution at RBTE – the largest retail show in the UK. So we wanted to share some of the comments and learnings with you. 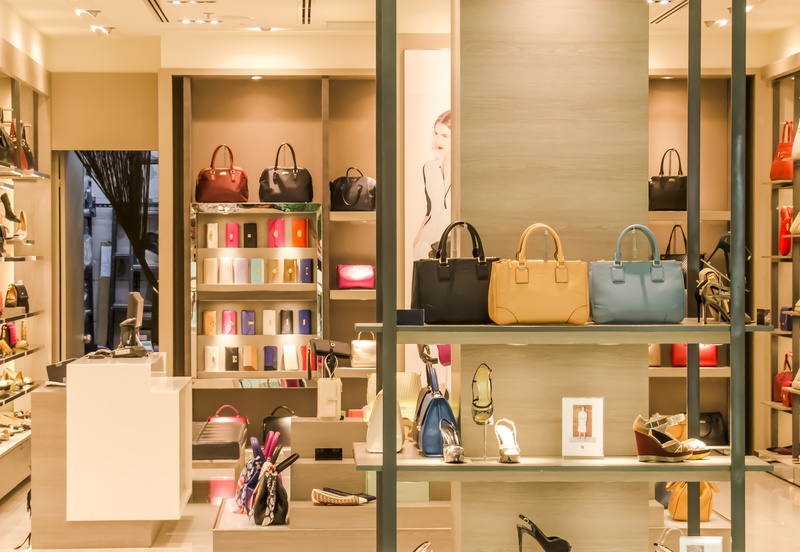 It’s clear that retailers are seeking to raise their game on the customer experience stakes. No surprises there when competition is so fierce. Even more so when you consider that 5 of the top 20 UK retailers in 2008 are no longer in the top 20 today. 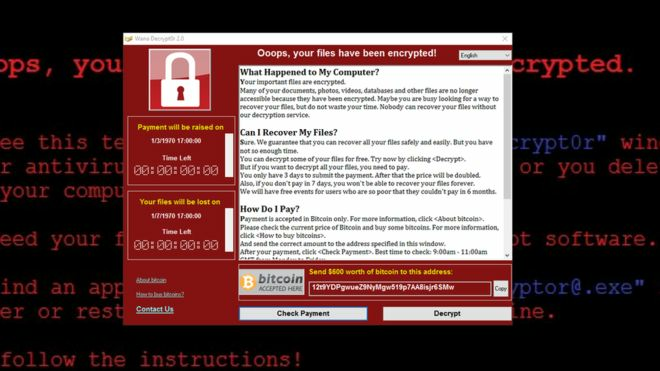 When the short-term fire drill of handling the WannaCrypt ransomware hack is over, we have to decide how we are going to handle these threats in the long term, and embrace the imperative of keeping systems up to date with the latest versions and patches. And while these threats can never be eradicated, all organizations are going to have to show that they have taken all steps to mitigate the risks as much as possible, not just for compelling reasons of security and business continuity, but to protect customer data sovereignty and, most importantly, ensure regulatory compliance. So, there are 3 basic questions that should be asked in meeting rooms across all organizations in the coming days.